Really Easy Cart has been developed by our company, Media Everywhere Limited, and is in use by companies around the UK and in the US, with new ventures commencing in Australia, New Zealand & South Africa at the start of 2010. 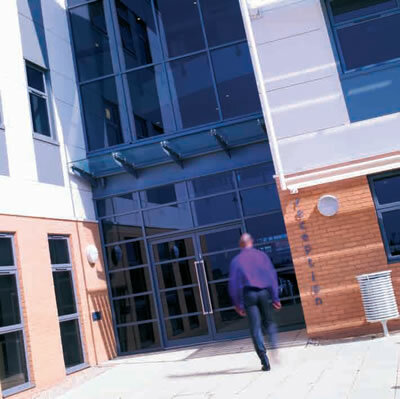 We are based in Bromsgrove Technology Park, about 15 minutes drive away from Birmingham in the Midlands region of England, about 120 miles north from London. We have 26 regional offices in the UK at present. One of the most important things to us is being innovative about ways to attract people to websites and convert them to customers who you can repeat sell to. We are always scouring the internet for new ways to achieve this and keep up to date through reading widely about ecommerce, contributing as specialists to ecommerce blogs and attending the main ecommerce shows in the UK, normally at Earls Court, London. We are friendly, courteous and look after our customers, being proactive with new enhancements whilst also being quick to respond to any issues or questions they may have. "People who sign up with Really Easy Cart can expect to be well looked after and treated thoughtfully and with respect by our friendly team"
For 2010, we have exciting new plans for an even greater range of features and ways to automatically generate large volumes of relevant traffic to websites. For many online shops this is the Holy Grail and we believe some of our new services in 2010 will really benefit our customers. There's always so many exciting new things to work on and we really love our work here. If you choose Really Easy Cart as your ecommerce solution, we would be delighted to welcome you on board what is, in our opinion, one of the best ecommerce platforms and support organisations in the UK today. Really Easy Cart is a fantatsic system to use, but it is also a fantastic system to sell. If you would like to be an agent, reseller or strategic partner for Really Easy Cart please get in touch with us straightaway to understand more about this business opportunity. Thanks for reading up about us and if you have any questions, just give us a call. You can contact me directly on Skype as neil.whelan or during GMT hours on 01527 83 4661 (within the UK) or +44 1527 83 4661 (worldwide).